In 1996, Dr. Robert K. Naviaux founded the Mitochondrial and Metabolic Disease Center at UCSD to meet the growing need for treatment, diagnosis, and research in the emerging field of Mitochondrial Medicine. The Center was built as a direct outgrowth of pioneering work of Dr. William L. Nyhan, and Dr. Richard H. Haas. Patient care is at the heart, and research is at the foundation of the Mitochondrial and Metabolic Disease Center at UCSD. The MMDC aims to unify the three essential elements of medical progress: diagnosis, treatment, and research. 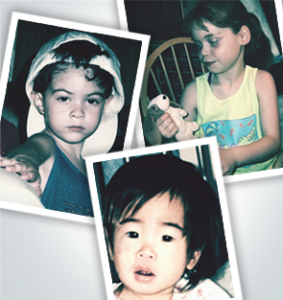 Our lab was founded in 1994 to help children and adults with mitochondrial disease. Scientists have classified of over 300 different kinds of genetically and clinically distinct mitochondrial disorders1. These are perhaps the most complex diseases known in all of medicine. Our studies led to the discovery of the cause of Alpers syndrome2,3, the oldest Mendelian form of mitochondrial disease. Alpers syndrome was first described in 19314. Our research helped to bring to a close a medical mystery that had remained unsolved for over 70 years. All of our research has been made possible by grass roots funding from the UCSD Christini fund (www.christini.org), and dozens of families and private foundations over the past 20 years. Our early studies taught us that although the genetic forms of mitochondrial disease are orphan diseases that affect fewer than 50,000 children and adults in the US, virtually all chronic complex diseases have mitochondrial dysfunction5. This means that over half of all Americans—over 150 million people—will suffer with a chronic disease that can be traced to mitochondrial dysfunction. Even the aging process itself has been found to be controlled by mitochondrial function. Diseases like diabetes, heart disease, chronic fatigue syndrome (CFS), Parkinson, Alzheimer, mental health disorders like bipolar disorder, major depression, and post-traumatic stress disorder (PTSD), traumatic brain injury (TBI), autoimmune diseases like lupus and multiple sclerosis (MS), and childhood disorders like autism, ADHD, asthma, and many more all have been shown to have mitochondrial dysfunction. 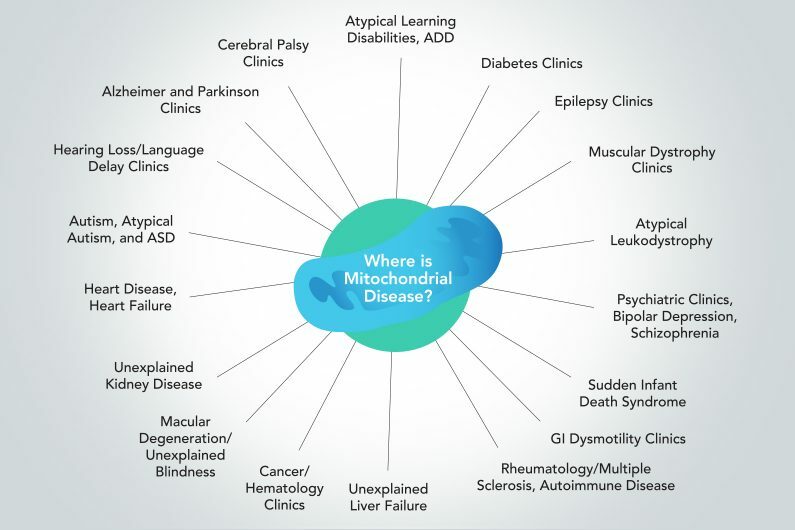 The personal and public health cost of these complex forms of mitochondrial dysfunction amounts to over $2 trillion each year. If the prevalence of chronic disease continues to rise in America, the cost of caring for the health of our people will rise faster than our ability to fund the medical research needed to cure these diseases. One of our research aims is to test that hypothesis that all chronic diseases are organ-selective manifestations of the cell danger response (CDR)6. The CDR is ultimately controlled by the conversation between mitochondria, the nucleus, and neighboring cells. This happens because mitochondrial are located at the hub of the wheel of cellular metabolism. All the air we breathe and all the nutrients we eat and drink are ultimately delivered to mitochondria to help us move, think, work, and play. Mitochondria continuously monitor the chemical environment of the cell and instantly respond to danger by changing their activities from healthy function to cellular defense7. When cells go to war, they do what nations do when they go to war. When the CDR is activated, cells harden their borders, don’t trust their neighbors, and restrict the exchange of resources with their neighbors. New discoveries in our lab have traced one of the root signals for maintaining the CDR to purinergic signaling. New therapies directed at purinergic signaling offer fresh hope for treatment of hundreds of devastating and debilitating diseases. Our clinical trial of suramin in autism is an example of this new generation of studies (https://clinicaltrials.gov/ct2/show/NCT02508259). Naviaux, R.K. Developing a systematic approach to the diagnosis and classification of mitochondrial disease. Mitochondrion 4, 351-361 (2004). Nguyen, K.V., et al. POLG mutations in Alpers syndrome. Neurology 65, 1493-1495 (2005). Naviaux, R.K., et al. Mitochondrial DNA polymerase gamma deficiency and mtDNA depletion in a child with Alpers’ syndrome. Annals of neurology 45, 54-58 (1999). Alpers, B.J. Diffuse progressive degeneration of the gray matter of the cerebrum. Archives of Neurologyand Psychiatry 25, 469-505 (1931). Naviaux, R.K. & Longenecker, A. The spectrum of mitochondrial disease: a review for parents and families. in Exceptional Parent, Vol. June 40-43 (1997). Naviaux, R.K. Metabolic features of the cell danger response. Mitochondrion 16, 7-17 (2014). Naviaux, R.K. Oxidative shielding or oxidative stress? J Pharmacol Exp Ther 342, 608-618 (2012).